This semester I’m working on a project-based-learning (PBL) subject that involves integrating technology and the latest theory / research in PBL. The problem is PBL ain’t PBL, just like oils ain’t oils. In particular PBL is now used interchangeably by many educators to mean project, problem, challenge, inquiry and other types of learning approaches. Now while they may all share similarities they are also different and one should make sure they know what and why they are using a particular approach before sprouting the merits of one vs another. The Buck Institute for Education (http://bie.org/object/offsite/pbl_online_org/) is a fantastic site that includes a wealth of resources around project based learning. You can register for free to access them and stand on the shoulders of giants if you are prepared to make the switch, or just dabble in some new classroom approaches. The most prolific of authors to this site and others on PBL is John Larmer who also articulates clearly the different nuances of PBL in http://www.edutopia.org/blog/pbl-vs-pbl-vs-xbl-john-larmer. It is perhaps best summarised by this table from his article and the quote that it is more about “style and scope”. So by reflecting on this I am definitely more of a problem based learner and teacher than project. Perhaps it is my Mathematics academic focus but I also think it is broader than that. Prior to teaching I was a Management Consultant with L.E.K. Consulting Pty Ltd. Consultants, like business analysts and strategists often deal with messy problems from a business or market and try to find solutions. The way they mimic this process in training new consultants is through a case-study process. Essentially this is a problem surrounding a particular company or product and the consultant needs to identify the variables, possible solution pathways and data available. They then try to arrive at an answer by multiple methods to test the validity of their assumptions or information. This is often called a top-down and bottom-up approach. Hopefully both approaches will arrive at a relatively small range of values or options and provide a bounded solution. The medical field is also immersed in case-study learning which is a variant of problem-based learning. Hence I’m sold on the idea. Having tested it on a relatively small scale with students across all levels of high school I can say, without a doubt, that the engagement goes up and the learning is authentic. It challenges students, it changes or highlights poor habits in both students and teachers but it also opens up possibilities. In future posts I’ll share what I’ve done with my students and where I’m going next with Problem-BL. Hopefully I’ll be able to share some of my students responses as well. For Maths specific project ideas check out http://www.ct4me.net/math_projects.htm. Lastly I’d hate this post to sound all rosy and glowing about PBL. It’s not as easy as it sounds. The fact is that it is difficult, messy, time-consuming, and quite challenging to implement PBL and shift both staff and students who are set in particular routines that they feel are working for them. It’s a case of you don’t know what you don’t know. If they’ve never had success with a PBL approach then why change? Why risk what they see as currently working? So are you going to try PBL? Would you go project or problem? Do you think it should stay in the too hard basket? Is that really best for your students or best for you? Ertmer, P. A., Glazewski, K. D., Jones, D., Ottenbreit-Leftwich, A., Goktas, Y., Collins, K., et al. (2009). Facilitating technology-enhanced problem-based learning (PBL) in the middle school classroom: An examination of how and why teachers adapt. Journal of Interactive Learning Research, 20(1), 35. What have I learned this semester? Firstly I think I’ve learned that I’m doing pretty well with this “integration of technology” thingo. I seem to be able to multi-task well, I pick up new online tools quickly and integrate them together. I have also found a set of programs that allow me to generate work flows that are productive and efficient. Whether that be for creating an assignment, producing lesson notes or producing a website. All of the above have also helped me grow professionally because they enable me to produce work that is of a higher standard and quality for my students. I can use and see the powers of these tools for creating digital products which are skills I can communicate and impart to my learners – yes even as a Maths teacher! One of the other key joys of working through a subject that involves “the theory” of what we do everyday is that it makes you reflect on your daily practice and why it is we do things the way we do. It makes me pause and think more about the language I’m using, my questioning techniques, my pedagogy. It makes me ask better questions of colleagues when they have a new technology idea or want to try something untested. It also just gives me deliberate “thinking” time. This for me is perhaps the most powerful element, it prevents the easy path or the path of least resistance, because it forces me to take time-out from my day-to-day teaching preparation to think and reflect. I see it as a win-win for me and my students. Lastly in terms of the AECT standards I believe this subject has addressed almost all of them (except Standard 3 – because it is a practical one within a learning environment) through the course work because of the overarching learning project that has carried throughout the semester. That is we had to choose a specific learning area and age level to focus all our assignments on and work towards producing content or resources for that level. The four standards below can be seen mapped to my projects on my site http://mrvassmaths.weebly.com/. AECT Standard 5 (Research): Candidates explore, evaluate, synthesise, and apply methods of inquiry to enhance learning and improve performance. During this course, you will be writing a blog. This takes the place of the discussion board common for this online course. The advantage of writing a blog is that you will have access to your reflections once the course ends and will be able to continue blogging. Blog responses should reflect your knowledge of the subject matter through critical analysis. Blogging at a critical level means discussing things such as your opinion of the point mentioned, why you hold that opinion, what you see wrong with the point mentioned, how you see the point consistent/inconsistent with what you have learned so far, implications for the future, consistencies/inconsistencies within the article or reading itself, and so forth. In other words, as an academic blog, you are being asked to analyze the good and/or bad aspects of the point and justifying your analysis using academic references and APA citations. Include citations and references in your response. Academic discourse in educational settings is enhanced when APA style references are used. Please include APA style citations with your blog entries. It’s ok to write in the first person and include personal experiences in your responses. As you can see, it is more than simply an opinion piece, it should be a researched, well-informed by facts and evidence opinion piece. As such I have tried in my blog posts this semester to tread the fine line between a boring academic statement of facts with a multitude of references and a highly personalised, conversational note about my daily teaching practice. In reality this is how I have learned to blog as this is pretty much how the M.E.T program starts out – by taking up blogging. You can see my first ever post to reflect how much of a novice I was here: Digital Divide versus Digital Inequality. So here is the rubric my posts have been graded against this semester and I’ve circled my self-graded areas in green. Whilst I would like to point out that I don’t think every single post I’ve made makes the “Outstanding” grade level mainly due to either timeliness or in-depth analysis and connection, I do think on average across the 14 or so weeks they fit that level. So if you’ve been reading my blog and would like to grade me differently please comment below, I’m sure my instructor (and myself) would value your opinion (unless of course you’re just trolling). Are Maths Wars all they are cooked up to be? In Sparks’s 2010 article reporting results studies of primary mathematics curriculum she used the term “math wars” in relation to the battle of pedagogies. That is traditional mathematics teaching (direct instruction, rote memorisation of facts and formula and skill-based practice) versus more social-constructivist approaches (referred by Sparks as “reform based”). 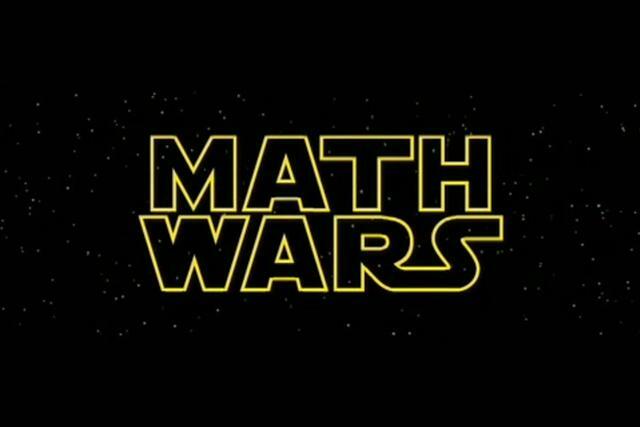 These “math wars”, unfortunate as they are, are healthy for improving our teaching and learning of mathematics. Do students learn mathematics best from explicit, teacher-directed explanations followed by individual practice? Do they learn best when they are engaged in student-centred learning where they construct the conceptual ideas through hands-on activities that help them build their personal understandings as in the constructivist approach? Or, do they learn best when they are involved in group work and discussions with other students using a more social-constructivist approach? As I argued in previous posts (see my post 4th Nov 2014 There is a place for everything) each of these questions are valid and there is both evidence and research (albeit limited, we need more!) to support and refute each of them. Why? In my opinion it depends too much on the individual learners and the teacher. If you take a teacher whose epistemology and pedagogical approaches are aligned completely with direct instruction and transfer of knowledge then they will not be as effective when forced to teach another way, and vice-versa. You’ll see it in their body language, you’ll hear it in their voice and their side comments to other staff and students, of course, will pick up on this lack of authenticity and the learning won’t be effective. But why do I bring this up in a blog post that is meant to be about the relative advantage of integrating technology in Mathematics teaching? The same is true for teaching with technology. If the teacher doesn’t use it regularly or “believe” in its relative advantage in the classroom then that will come across, students will see it for what it is. This is why frameworks such as SAMR or TPCK are so important. They help both teachers and students see whether technology has been integrated properly and is useful. So what are some of the key ways that integrating technology in to your Maths classroom can improve learning? What is the relative advantage? There are many, but I believe the most significant one is the ability we now have to make Mathematics dynamic. Historically it was static. Numbers were read off tables, calculations were all to a set number of places due to these tables and arithmetic approaches were given in a “one method” only approach. Through technology students can now graph functions live online, insert variables and test their hypotheses instantaneously. See the example below for the equation of a shifted circle. Students can manipulate the sliders for the values of h, k and r to determine what they actually mean. It is a virtual manipulative using the incredible free online tool http://www.desmos.com. Physical manipulatives are the ones I’m sure we all remember from our own primary school education, Cuisenaire rods, coins, dice, blocks – real objects. Roblyer (2016) tells us that these help students bridge the conceptual distance between concrete and abstract mathematical concepts. The same should apply in senior schools and throughout one’s learning. If educators can help students bridge the gap between the abstract concepts and tangible concrete / physical phenomena then we can deepen understanding. According to Li and Ma (2010), research has found that virtual manipulatives have a positive impact on both attitudes toward mathematics and student achievement. However, as with many of these studies the research is often heavily focused on primary and early mathematics education. But, Lee and Chen (2010) also report that virtual manipulatives can improve high school student’s attitudes towards mathematics. This is where the rubber meets the road, engagement, attraction to Mathematics, enjoyment of learning. If we as educators loose students from the STEM fields because it is seen as “boring” or not relevant than it is us who have dropped the ball, not our students. Technology is a tool, but it is a tool that can help teachers simulate activities from the real world or an abstract mathematical one that is often hard to understand. Making mathematics tangible, real and enjoyable is surely as important as just getting the right answer. Lee, C., & Chen, M. (2010). Tiwanese junior high school students’ mathematics attitudes and perceptions towards virtual manipulatives. British Journal of Educational Technology, 33(3), 333-337. Li, Q., & Ma, X. (2010). A meta-analysis of the effects of computer technology on school students’ mathematics learning. Educational Psychology Review, 22, 215-243. Sparks, S. (2010). Early-grade math programs go head-to-head in study; ongoing federal research shows an edge for some widely used curricula. Education Week, 30(11), 11. Is there any advantage to gamifying your classroom? I think so. To gamify? It’s the verb of the current trendy label in education known as “gamification”. In a learning context this means bringing engaging and stimulating game elements in to the learning environment. Perhaps it’s extrinsic rewards such as badges or recognition levels. Perhaps it is more complex, challenges that unlock new challenges or other types of rewards. Unfortunately for many educators they have misinterpreted Gamification as taking an established game like World of Warcraft and using it to teach their content through it. Now whilst some serious teachers who are gamers may love this, and have probably tried it, I don’t see much senior level abstract mathematics being taught via a dungeon raid. The relative advantage of serious gaming is fun and engagement. A well designed game has a hook that will keep your learners “on-topic” for longer, this means more learning time, more discussion , more focus and possibly tangential benefits in collaboration, planning, risk-taking, and an improved desire to succeed. If you’re interested in finding out more there are some fantastic resources on Slideshare under the Gamification 101 tag. The Gamification Process takes long term dedication, careful planning and the right tools and expertise. Keep in mind this… should be only a first step to understanding Gamification and should not be seen as a magic bullet to increase Engagement in and of itself. A rationale for breaking down a walled garden. Hossain, M. & Wiest, L. (2013). Collaborative middle school geometry through blogs and other web 2.0 technologies. The Journal of Computers in Mathematics and Science Teaching, 32(3), 337-352. Manfra, M., & Lee, J. (2012). “You have to know the past to (blog) the present:” Using an educational blog to engage students in U.S. history. Computers in the Schools, 29, 118-134. Reich, J., Murnane, R., & Willet, J. (2012). The state of wiki usage in U.S. K-12 schools: Leveraging web 2.0 data warehouses to assess quality and equity in online learning environments. Educational Researcher, 41(1), 7-15. The best things in life are free? Including information and music right? Now apart from the obvious “best things” of love, family, and mother nature the next “best thing” that is free is your spirit and your ability to create. But if this is really true, and I believe it is, then our creations are infinitely valuable to us and henceforth to others. The reason I’m starting with this is that it has taken me a long time to realise it. I am of the generation where, as Roblyer (2016) points out, the nature of free-flowing information online and its ease of access led me to the conclusion that everything online should be free. But it isn’t free and shouldn’t be free unless I created it, and herein lies the basis for copyright laws. As a teacher I have a particularly close relationship with information, knowledge, technology and those influential minds I see before me, daily, accessing it. It would be irresponsible for me to allow them to use information and resources, digital or analog, and let them reproduce it under their own name. Thus schools have developed Acceptable Use policies to help teachers clearly define the boundaries, rules and regulations in this ever changing landscape online. If you school doesn’t have one, or you’re not familiar with it now might be the time to quickly jump on your school intranet and look for it. online piracy (in terms of music, videos and other documents). Here are some examples of AUPs from an independent boys school, a girls school and an AUP template policy from an entire state jurisdiction. Methodist Ladies College in Perth, WA – The Methodist Ladies’ College, Perth, is an independent, Uniting Church, day and boarding school for girls, located in Claremont, a western suburb of Perth, Western Australia. Trinity Grammar – Trinity Grammar School is an independent, Anglican, day and boarding school for boys in Sydney, Australia. The main campus is in Summer Hill, with a preparatory school in Strathfield. As with all policies relating to technology they must be updated regularly, possibly even multiple times a year, and stakeholders informed of the changes. In particular AUPs have morphed since first being created as a list of “do’s and dont’s” into softer policies that guide students to make “appropriate” choices that can then lead to “teachable moments” or even more broader conversations amongst staff and students about digital citizenship. The students of today, unlike a generation ago, have an entire digital footprint of their life. Careless (2012) states that a digital footprint is the trail that people leave behind as a result of their social media interactions. But as learning portfolios move online your digital footprint is more than just your tweets and facebook posts, it could be videos of your work from year 4, a reflective piece of prose in relation to Hamlet in Year 9 or photographs of your final year major visual artwork. So as teachers we have the responsibility to help students create and craft this “footprint” so that they can be proud of who they are online and so it is authentic. Roblyer (2016) and Cooper (2013) note that colleges and employers now frequently look for applicants’ digital footprint before making decisions hence it is only sensible for teachers to instruct students carefully on the potential impact of their actions online. At my current school our AUP, known as a “Student ICT policy 2015”, addresses many areas broadly in the “dot points” because it identifies them as character attributes. It was updated this year by our Director of ICT, Myles Carrick. These then link with our pastoral care and co-curricular programs where we teach values and character through every aspect of our school. The policy is shown below in italics with the character attributes in bold highlighting – responsibility, ethical behaviour, integrity and respect. “The College recognises that students will use a range of communication devices, resources and services, both College owned and student-owned. All ICT devices brought to school and all ICT-related activity are covered by this policy. Boys are expected to use all ICT devices, resources and services responsibly, purposefully and ethically. Usage of devices, services and resources is always at the discretion of class teachers and other College staff. Boys are to have their devices charged and ready for use. Devices should never be left unattended and are to be stored securely when not in use. Boys need to rectify any login or technical issues promptly and not during class time. Although the College takes care to backup server-based resources, keeping backups of critical files (e.g. assignment work) is each boy’s responsibility.. Unless specifically allowed by a teacher for educational purposes, the sending and receiving of text messages or phone calls and the use of social networking sites, gaming and services (eg. Facebook) are strictly prohibited during scheduled class time. The College provides high speed Internet and provides filtering to protect students and help them stay focused on educational activities. Boys may not use personal 3G/4G mobile broadband “hot spots” to provide alternate Internet connections. Students must not install or use tools to circumvent or attempt to circumvent the College filtering service. The College installs software to help configure, monitor and support the device on campus. Newington software/apps or settings must remain in place throughout the student’s time at the College. Personally I like this approach of integrating character and personal responsibility into an AUP as not only does it feel more natural but I believe it creates a better platform for teaching and learning. Cooper, M. (2013). lol…OMG! What every student needs to know about online reputation management, digital citizenship and cyberbullying. The Hispanic Outlook in Higher Education, 23(7), 51. The democratisation of technology means teachers have little excuse not to extend learning time. Goodwin, B., & Miller, K. (2013). Evidence on flipped classroom is still coming in. Educational Leadership, 70(6), 78-80. Rudd, D,P, II; Rudd, D.P. (2014). The value of video in online instruction. Journal of Instructional Pedagogies, 13, 1-7. Ware, J., & Stein, S. (2013). From “mentor” to “role model”: Scaling the involvement of STEM professionals through role model videos. Journal of Educational Multimedia and Hypermedia, 22(2), 209-223. Death by powerpoint it does not have to be! We’ve all sat there, probably less so as teachers actually as it is much more of a problem in the corporate arena. But rather than me remind you in text prepare to laugh out loud at this comedian give his experience. This video was actually shared in our online notes this week by Dr Jackie Gerstein and it was so good I just couldn’t resist sharing again. But what is the point – well if you’ve ever sat through a presentation similar to the one described above and you’ve also sat through a great presentation then you know the point already. It’s not powerpoint’s fault! It’s not the tool’s fault – it’s the presenter, the designer, the instructor, the teacher. It’s really no different to a poorly designed or delivered lesson. Sure we all have the odd lesson that falls flat or short of our expectations but if the majority are not hitting the mark with our learners then something is wrong – AND IT IS NOT THE STUDENTS OR THE TOOLS. So how can you make your lessons more productive? More engaging, more powerful? What simple tools can you use in your planning and preparation, preferably ones that are probably already on your laptop? The “basic productivity tools” (Roblyer, 2016) or basic software tool suite is what! A word processor – more than likely MS Word, Google Docs or Pages. A spreadsheet application – more than likely Excel, GoogleSheets, or Numb3rs. A presentation tool – more than likely Powerpoint, Google Slides, Keynote. Of course there are a myriad of other phenomenal options that are Cloud-based, fancier, more 2015 than 1990’s but having tried almost all of them I almost always come back to the holy trinity produced by either Microsoft, Google or Apple. As Roblyer (2016) states “for many professionals in education and other fields, these tools have become an indispensable part of their daily work”. Logos of Microsoft, Apple and Google. So why should you use their tools? What is their relative advantage to pen and paper or whiteboard markers? In my teaching area of Mathematics they syllabus is so crowded with content that we “must” transfer to our learners there is simply not enough time (IMHO) to write the theory notes on the board in a marker and wait for students to copy them down. Two thirds of a lesson is lost doing this which leaves minimal actual time for discussion and analysis of a problem, if you’re lucky. This, in part, explains why the craze of “flipping” or the flipped classroom approach is such a hit with Mathematics teachers. We’re always looking for a way to front load the content and then spend lesson time actually solving problems and modelling our thinking for our learners. But what if you could do both? I know it appears static. I realise it doesn’t have fancy transitions or animations. It also has lots of screen shots from various texts that I reference and use. Here is why – the relative advantage of this resource is that it is portable, accessible, transferable, mutli-faceted in it’s use-case and also easily editable and updatable. If I want to share it with other teachers I can easily do so, it’s not embedded in an LMS that others cannot access, it’s not in a whiz-bang cloud-based format which whilst visually appealing is not easy to print. Most of all this booklet becomes my canvas. It is a PDF format that is easily annotated via most apps on a tablet and printable to be annotated by students without technology. It is a cross-over document that bridges the digital divide. Here is how I use it live during a lesson – I record the lesson using Doceri and annotate the lesson notes via Doceri on my iPad. Why Google Docs and not Microsoft Word? Pretty simple because of ease of use, google is fast, word… not so much. Formatting is simple in google docs, throwing images in is simple, and collaborating is simple. It also sits easily accessible in the cloud. I know Office 365 has now almost caught up and the online versions of the Microsoft’s basic suite are much improved but for me Google Docs still has it over Word (for most things). In terms of presentations though I have found myself falling back on Powerpoint again and again. This is mostly because of integration with Mathtype for writing Maths equations and also it’s great functionality with Doceri, my go to for lesson recording on a daily basis. The relatively advantage a presentation has over a PDF or Word processed document is that the lesson material can be “slowly revealed”. It can be animated to engage and highlight content AND more importantly one can embed video content within a powerpoint which cannot be done in a word processor. Have I convinced you yet? If you’re not making your own lesson notes with one of the above tools you and your learners are missing out. And whilst recording your lessons is not a tool that is part of the “basic suite” I certainly think it should be. I think Jordan and Papp (2013) summed it up best when they reviewed and summarised the wide body of research on the impact of Powerpoint and found that overall while there was “no impact on desired outcomes, they were also able to demonstrate that impact depends almost exclusively on how it is used”. Jordan, L., & Papp, R. (2013). Powerpoint: It’s not “yes” or “no” – it’s “when” and “how”. Research in Higher Education Journal, 22, 1-12. Drill, Skill and Practice – it ain’t so bad folks. Get over it, it works. Like many issues, but particularly in Education, learning and teaching strategies come and go with fads and new technology and are rarely accompanied by new research. Often teachers are looking for the “killer application” that will enable them to get their learners over the line easier and yield deeper learning that lasts. However, in doing so, many of us throw out the baby with the bathwater as one group of learning theorists see it as an opportunity to gain more of a foothold with the foot-soldiers (teachers). So what on earth am I talking about? Well firstly the benefit of drill and practice, not just in Mathematics but across the curriculum, and also other forms of instructional software. They all have their place and as long as teachers know when and where to use them in their teaching their students will have significant learning benefits. However nowadays many of the latest online sites and digital tools available, particularly in Mathematics, use a combination of the above types which can make it hard to distinguish exactly what the program or application does best. Tutorials – act most like a complete teacher by providing all the information and activities for learning in order to master a topic. Problem solving – specifically targets the steps involved in solving a problem, the teaching is via the problem itself and not separate. Now I would add that if you’re NOT using any of the above in your classrooms then your learners are missing out and so are you. There are so many relative advantages of using instructional software that one could wax lyrical for hours, but given I don’t have that sort of time let’s keep it simple. (1) Drill and practice software allows for immediate feedback to the learner. In Mathematics that is like having 25 teachers in the room each standing beside each student as they complete their work and saying “correct” or “incorrect/try again”. So in essence it ensures each student is getting feedback almost instantly, and depending on the tool it may even give direction as to what they did wrong and how to correct it when they make a mistake. It should also be obvious that this process is faster than you marking twenty drill questions off the whiteboard to the whole class so it effectively enables differentiation as each learner can operate at their own pace and proceed as far as possible. Gagne (1982) and Bloom (1986) labelled this type of skill practice automaticity, where the knowledge was so clear in the learners mind that they could almost recall it automatically (on auto-pilot). 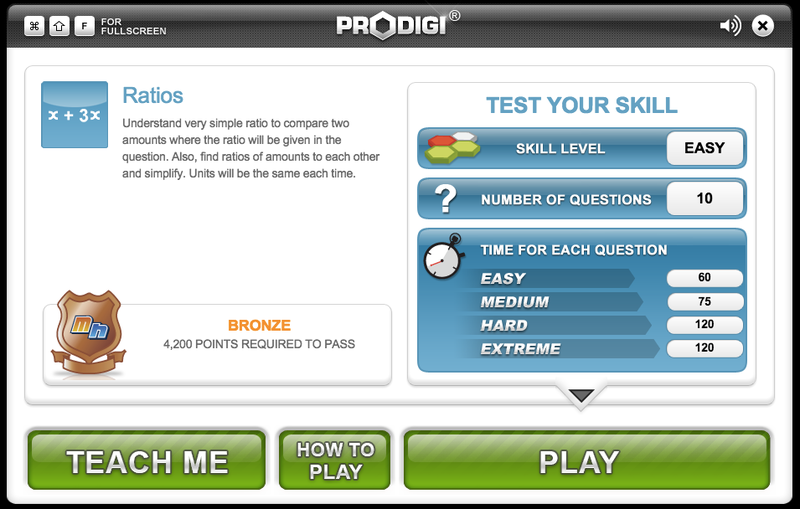 Example – Mathletics.com or MangaHigh.com where students can log in and either complete drills (called challenges) of 10 questions either set by the teacher or chosen by themselves. As with many of the latest online drill and practice tools, MangaHigh is adaptive, that means it is a “branching drill”, where the software advances the student to more challenging questions based on what they have gotten correct in order to stretch their learning further. This is a common differentiating element that is sought out by most Mathematics teachers when evaluating drill and practice software today. (2) Tutorial software allows for a more complete learning package and is perhaps that one that scares teachers the most. It is the one that critics of technology standup and say “but you want to replace teachers with a program!”. Well yes… and no. I’ve always said that if you honestly believe a computer program can do a better job then you in front of a classroom then perhaps yes, it should be replacing you! But seriously, tutorial software is also probably one of the most misunderstood pieces of instructional software. In theory it is supposed to be the whole package, the instruction, the theory, the lesson plans, the assessment, the feedback and the marker as well. There are little to few systems that do this in Mathematics but plenty are trying. Example – The most advanced and probably most well know is KhanAcademy.org. It is famous for Salman Khan whose 2011 TED talk made Khan Academy synonymous with the Bill and Melinda Gates foundation and the “flipped classroom” approach. It has since expanded into a global education phenomenon of tutorial software. That is a structured series of lessons broken down into concepts and taught sequentially. It has instructional videos to deliver the theory and then immediate drill and skill questions with immediate feedback to assess your progress. It also has the more advanced branching tutorial components were it will give you credit for concepts you already understand based on a pre-test. The site itself continues to go from strength to strength as it is integrating touch handwriting recognition on tablet devices and teacher-student tracking so teachers can use it in their own classrooms. If you haven’t seen it I highly recommend it, it will blow your mind…. and it is FREE! Surprisingly, as Roblyer (2016) points out, given tutorials have considerable value and are popular in corporate and industrial training, “schools and colleges have never fully tapped their potential as a teaching resource”. (3) Simulations are essentially computer models of real world actions, in order to demonstrate to the learner how something works without them physically having to complete the action. These are popular in science and engineering areas where it would be far too expensive or time consuming to actually complete the real world task for learning purposes. This is one of the first benefits of a simulation, you can speed up time and significantly reduce the cost. In addition you can allow students to “construct” their learning by letting them control the inputs and try to “break” the simulation and prove to themselves what does and doesn’t work. In Mathematics dynamic geometry software such as Geometer’s SketchPad or Geogebra are close proxies for simulation software that fall in to the “those that teach about something” category according to Alessi and Trollip (2001). Interestingly the research on simulations seems to agree that “simulation work best when combined with nonsimulation activities” (Roblyer, 2016). Example – My own experience is that they need to be structured or integrated into a learning activity rather than stand alone and as such can really create the “ah-ha” moment. For example in Mathematics the concept of theoretical probability compared to experimental probability can be a difficult one to grasp. Running a simulation after using physical dice to calculate the probability of rolling a 6 really allows students to see the connections and prevent misconceptions forever. (4) Games are essential to all classrooms and I agree wholeheartedly with Roblyer (2016) that “a classroom without elements of games and fun would be a dry, barren landscape for students to traverse.” They are also not new, great teachers have used games to inspire, engage and break up learning activities for decades. Games are the essence of how we as toddlers first learn through play. We test boundaries, we learn the rules of life and then test them to “stay alive”. However in terms of instructional games Roblyer (2016) referes to them as software products that bring game-like rules and competition to learning activities. Teachers who give merits and track sticker charts are using a form of gaming and points based competition to drive achievement or behaviour. It is that extrinsic reward to inspire an outcome that is ironically one a true behaviourist learning philosophical element and yet many behaviourists probably scoff at gaming as a waste of good learning time. Example – in my own classrooms games are used regularly. Most recently MangaHigh.com has developed an algebra game for teaching the concepts and principles of algebraic expressions and solving equations through a game. The narrative is fascinating and I have seen lower performing students rise to the top of the class leader board for weeks and re-engage with Mathematics through this game. You can play for free here: Jabara. The creators have also considered the transfer of skills from the game to paper by creating a written booklet that goes alongside the game and providing lesson plans for its use. As Roblyer (2016) states, teachers must help students recognise the need to focus on the math rules outside of a game. Both Herold (2013) and Helms (2013) provide some brilliant insight in to this area and make compelling cases for using video games in schools to foster learning. (5) Problem-solving digital tools are arguably the least understood of all of the above tools. The term problem solving is often used interchangeably with critical thinking, higher order thinking, logic skills, algebraic thinking and reasoning. Whilst these are all accurate to a point there is no “single process” for solving a problem. All teachers can do is try to model their approach and the approaches of other students to make their thinking visible. This itself is a whole movement in education at the moment called “visible thinking” which I believe has its roots out of Project Zero and Harvard (http://www.pz.harvard.edu/). In the 1970s and 1980s, for example, many schools taught programming in mathematics classes under the hypothesis that the planning and sequencing skills required for programming would transfer to problem-solving skills in math. Research results never supported this hypothesis. So what is the summary? The takeaway? Put simply, all of the above have their time and place in your lesson design and classrooms. They SHOULD be used, to improve learning, to deepen understanding, to have fun, to build automaticity and even to teach (when you can’t be there!). Bloom, B. (1986). Automaticity, Educational Leadership, 43(5), 70-77.